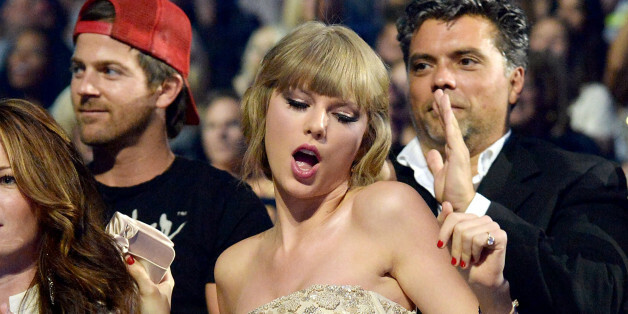 Another Grammy Awards, another dose of Taylor Swift's epic dance moves. The 25-year-old and her long-time BFF Abigail Anderson shook it like no one was watching as music's biggest stars, including Beyoncé, Madonna, Ariana Grande, Usher, Pharrell, Miranda Lambert and Kanye West performed at the 2015 Grammys. Although Swift didn't perform onstage, she made sure the crowd and at-home viewers had plenty to get excited about. This is a developing story. We'll continue to update this post as Swift dances her heart out throughout the night. The laser-cut skirt is EVERYTHING.